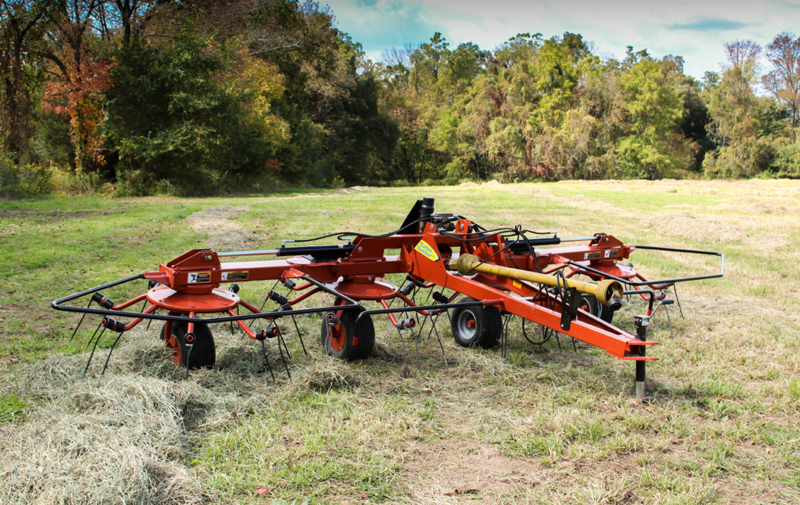 With an 18’ 2” working width, the Model TT4101 is one of the widest 4-rotor tedders available. Built tough in North America, it sports these essential features: large tires for smoother field travel and fewer flats and real 4-bolt hubs with tapered bearings that last longer and allow for faster travel. The improved hydraulics enable quick folding and unfolding no ropes or latches are needed. 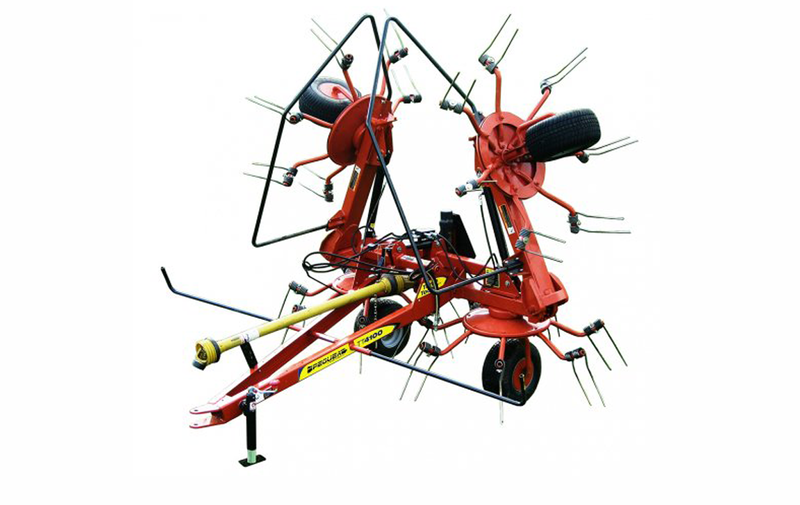 All Pequea TurboTedders feature seven asymmetrical tines per rotor mounted on arms made from heavy pipe for durability. 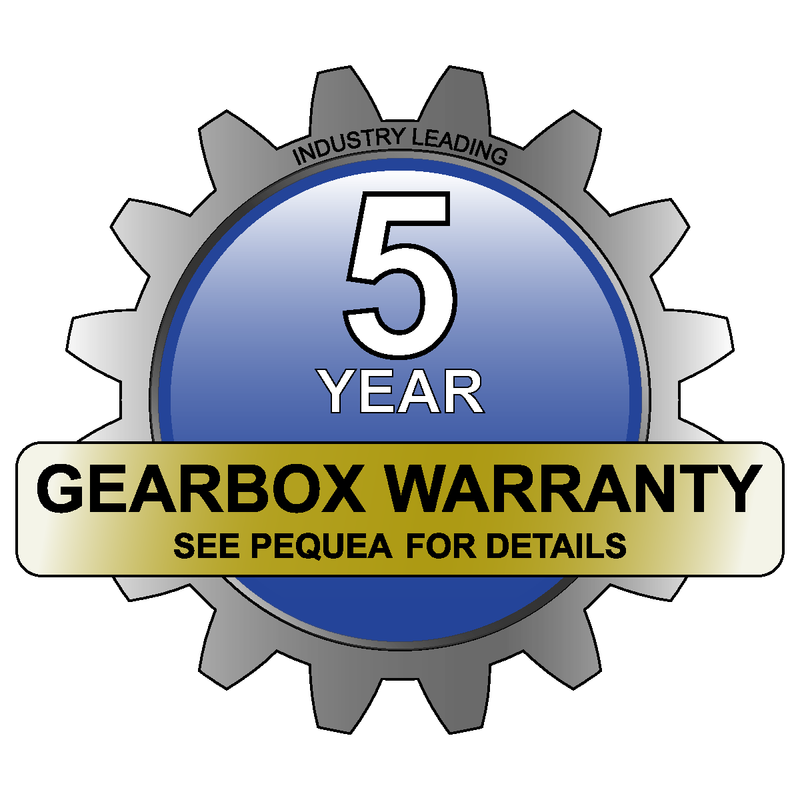 Heavy enclosed oil-bath commercial gearboxes include a 5 year warranty. At the pivot points, power is transferred through carbo-austempered finger drives to the rotors. 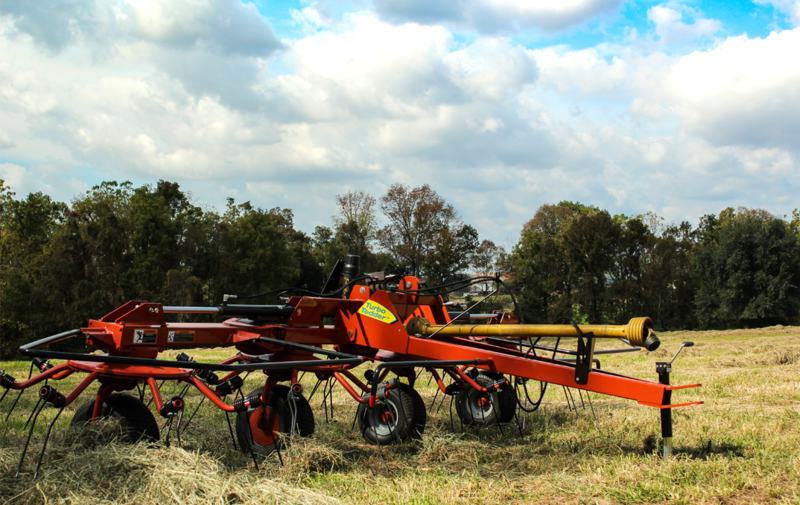 Hydraulic fold and tilt are also standard, so there’s no need to leave the tractor until the job is done. Q: Why are finger joints better than double U-Joint drive systems? Q: What is the purpose of big tires on the Pequea tedders? 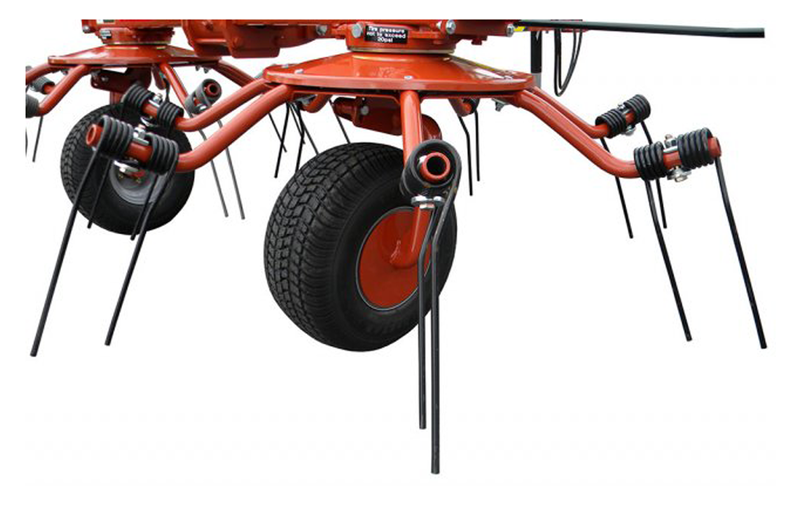 A: The only suspension a tedder has is the air in the tires, so the bigger the tire, the more suspension. Also bigger tires provide more stability in transport. Q: Why seven round arms on each rotor? A: Only a premium tedder offers torsion tube arms. Tube arms are very strong and very consistant. Seven arms gives the operator more options. 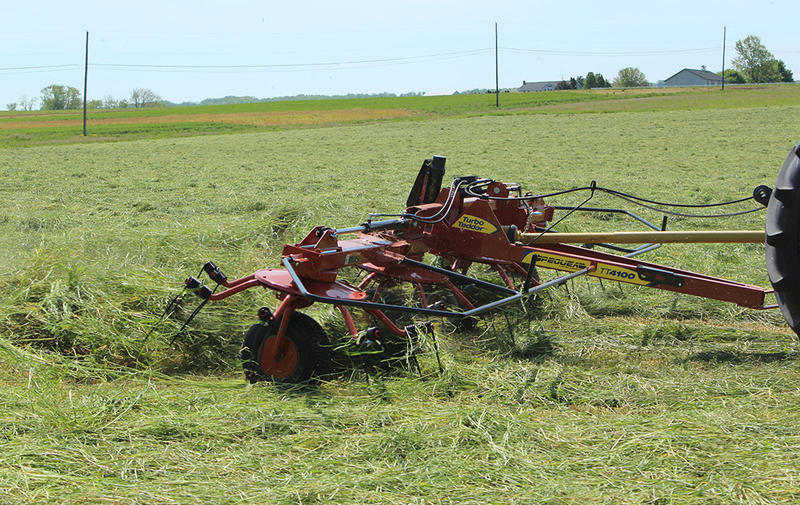 You can run the tedder slower to fluff and save leaves, it also takes smaller bites of hay for better disbursment. This means more even dry down and the hay will rake more consistently.